Welcome from the Organizers of the 2019 FIDE World Junior Chess Championship for the Disabled. Our young players have a real thirst for learning and participating in high level chess tournament play. Our excellent team is committed and dedicated to ensuring that each and every player achieves his/her greatest experience in high level tournament play. A lifetime of dedication to chess and education. On behalf of the Organizing Committee, we would like to cordially welcome you to the 3rd FIDE World Junior Chess Championships for the Disabled. The world needs more inclusion. If we learn how to support their efforts and bridge our differences, people with disabilities are as capable as anyone else to compete in chess events on an equal basis. 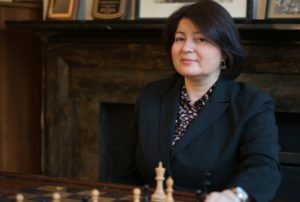 We look forward to spending time with you in Cherry Hill, NJ, where you will have the opportunity to compete and exchange opinions and ideas on how to make chess more accessible for people with disabilities, make new friends or reconnect with old ones, learn and train in chess with people from around the world. I would like to take this opportunity to express our gratitude to the World Chess Federation “FIDE” for creating the World Junior Chess Championship for the Disabled; the US Chess Federation for being the hosting National Federation; the New Jersey Chess Federation for supporting and sponsoring the event; the US Chess Trust for providing encouragement and sponsorship, KIND for sponsoring and giving the world what is most needed – kindness, as well as nutritious energy bars; to individual donors with good hearts and our wonderful team that will be working on making the event happen. Hope to see you either competing or supporting these events. © 2019 All Rights Reserved. All images and content are copyright protected.